Whether it's bustling beaches, a lively LGBT nightlife scene or chic towns to explore, there have never been more opportunities to get away from it all with a fun-filled break in the sun... and for less than you might think! 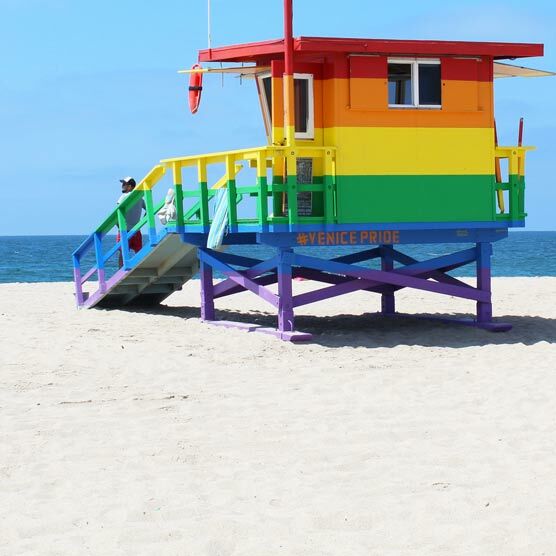 So if you're looking to leave the grey skies behind in favour of something much more colourful, allow us to inspire you with our 5 favourite gay travel hotspots and deals for 2018! And with Pride just around the corner, what better way to celebrate than in the sun? Gran Canaria wears the crown as the most popular island in the Canaries, and it's renowned across Europe as a brilliant gay travel destination. Thanks to Gran Canaria's wonderful year-round temperatures, the island can afford not one, but two annual Pride events with its mammoth Gay Pride extravaganza occurring every May and complemented by Winter Pride in November when temperatures are still plenty warm enough to party well into the night. Maspalomas in the south of the island is the focal point for LGBT activities, with numerous bars, restaurants and cafes to be found in the area. Cool off at one of the popular chiringuito's located on the beaches between Maspalomas and Playa del Ingles resort, known as Kiosk No.7, where you'll find a a wide shore, soft sands and a friendly atmosphere. While several parts of this destination host a visible gay scene, including the capital Las Palmas, it's Playa del Ingles that knows how to party - head to the well-known Yumbo Centium, a part-shopping, part-nightlife complex serving up dozens of restaurants, bars and clubs. Crowned as Europe's hottest up and coming LGBT destination - and currently celebrating its status as European Capital of Culture in 2018 - this stunning Mediterranean haven serves up gorgeous beaches, a friendly atmosphere, hideaway islands and picturesque towns. Malta holidays host a medley of attractions, including the annual Gay Pride festival in UNESCO-listed Valletta, while the AXM club in the seaside town of St. Julians and LGBT bar Klozet setting the tone for a fun evening in beautiful surroundings. Recover from the island's eclectic party scene by discovering Malta's charming restaurants and cafes overlooking the turquoise Med, while the quaint sister islands of Gozo and Comino - arguably two of Europe's most beautiful corners - are a day trip must. Browse our handy guide for more of the top things to do in Malta and book the coastside four-star Qawra Palace Hotel boasting glorious views across the Mediterranean and located close to Malta's leading hotspots. The brilliant beaches of Ibiza are a magnet for sand-worshippers, whether you visit in the hot summer months of July and August or early October, with the iconic hotspots of Playa d'en Bossa, San Antonio and Ibiza Town needing little introduction for fun-loving travellers. If you’re looking for some peace and quiet in the day as you soak up the Balearic sun, head to sandy Figueretas Beach, which is still located close enough to the main nightlife to enjoy all the fun. It’s also close to the Playa Es Cavallet beach, where you’ll find the popular Chiringay restaurant serving cocktails and freshly-caught fish, turning up the tempo at night for a party on the sands! You’ll find some lively bars in Carrer d’Alfonso XIII, a part of the Old Town, near the historic Dalt Vila ramparts. Nearby, on Calle de la Virgen street, the bars open late and the action carries on till the early hours. If you’re in the mood to party, check out our selection of top 5 Ibiza clubs like Ocean Beach and Pasha! Discover everything Ibiza has to offer with a stay at the adults-only The Purple by Ibiza Feeling offering a chic decor, chilled vibes and excellent value. The Spanish beach town of Benidorm has a thriving gay scene, with dozens of exclusive bars and clubs in the Old Town area - perfect for a bar crawl. This beach and city destination boasts three Blue Flag beaches with a medley of watersports to lap up if you're feeling adventurous, but it is the brilliant Terra Mitica theme park that attracts revellers for hours of fun in the sun. The Ti Ximo cove, at the end of Levante Beach is popular with sunbathers, along with Racó de Conill Beach near the city. The city is also loved for its annual week-long Benidorm Gay Pride event, where the fun flows while you watch an abundance of live acts. For a stay that is both great-value and well located, the Sol Pelicanos Ocas Hotel is ideal for that fun-filled holiday in Benidorm.